TB and I returned from a fabulous vacation last night. I've got so many photographs to work on that I'm really excited about. I also have weddings to shoot the next three weekends in a row, so I'm going to be a busy, busy girl. 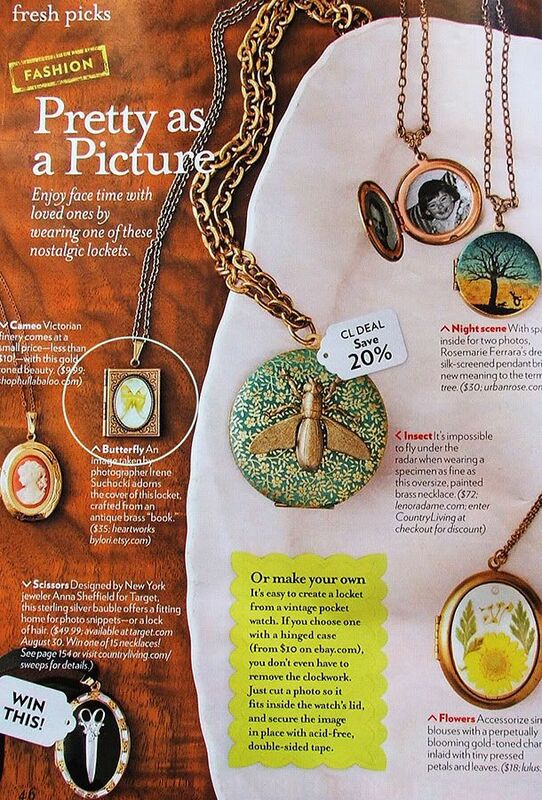 While I was away, the September 2009 issue of Country Living magazine came out, and I'm (sort of) in it! 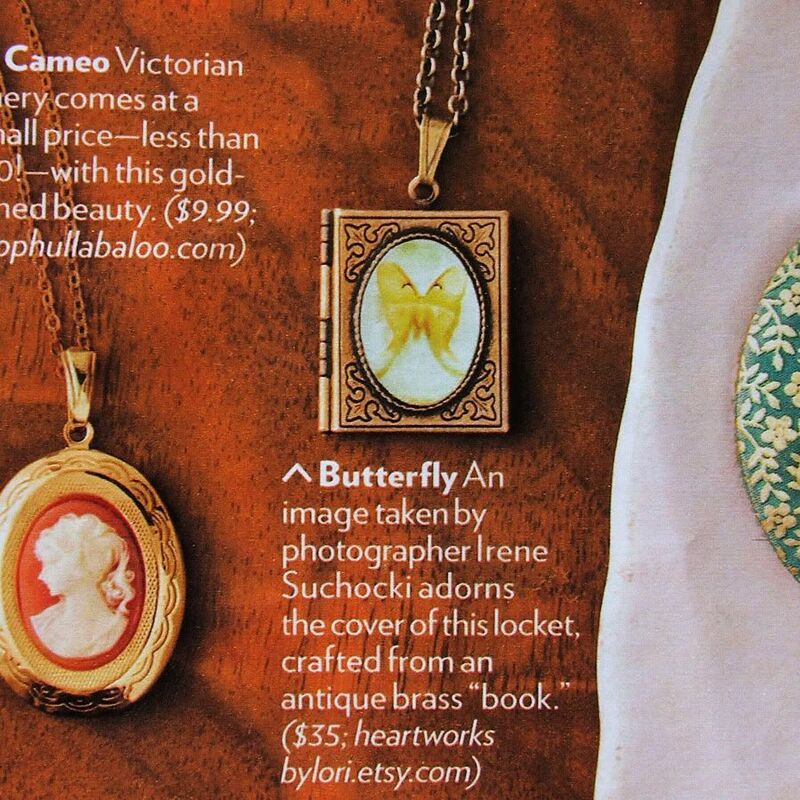 A necklace featuring one of my photographs (the luna moth image), made by my wonderful jewelry-making collaborator and friend, Lori Patton, was featured on page 46. Check it out if you get the chance.